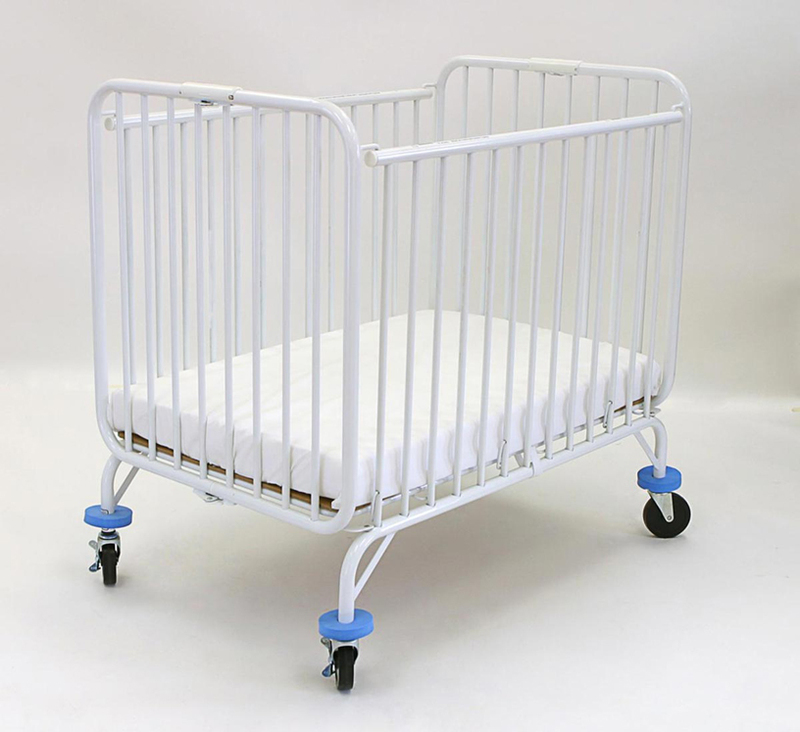 Folding metal evacuation crib designed especially for use in commercial environments. 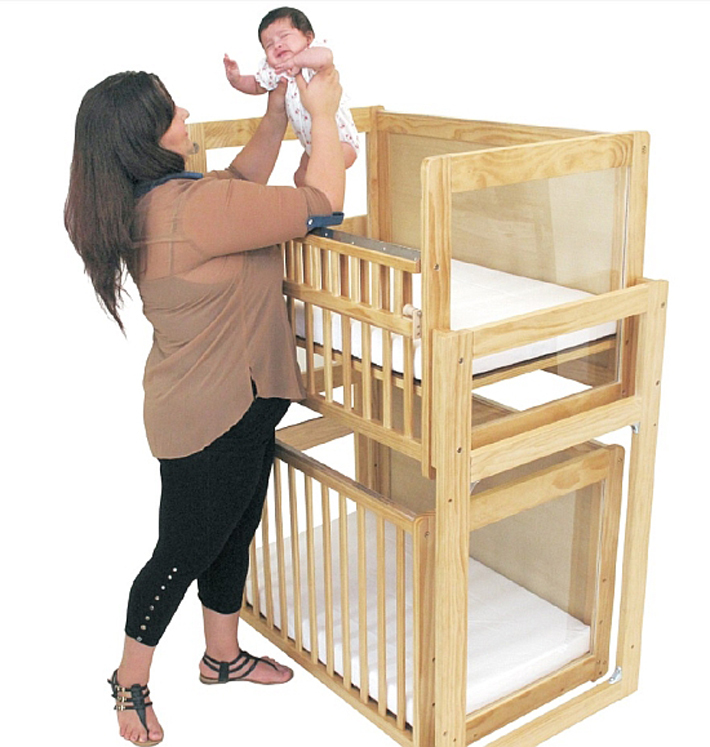 Features braced leg designed to withstand hotel elevator gaps, and provide stability during an evacuation situation. 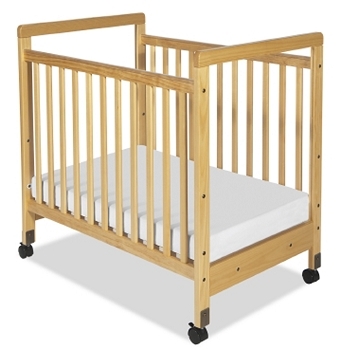 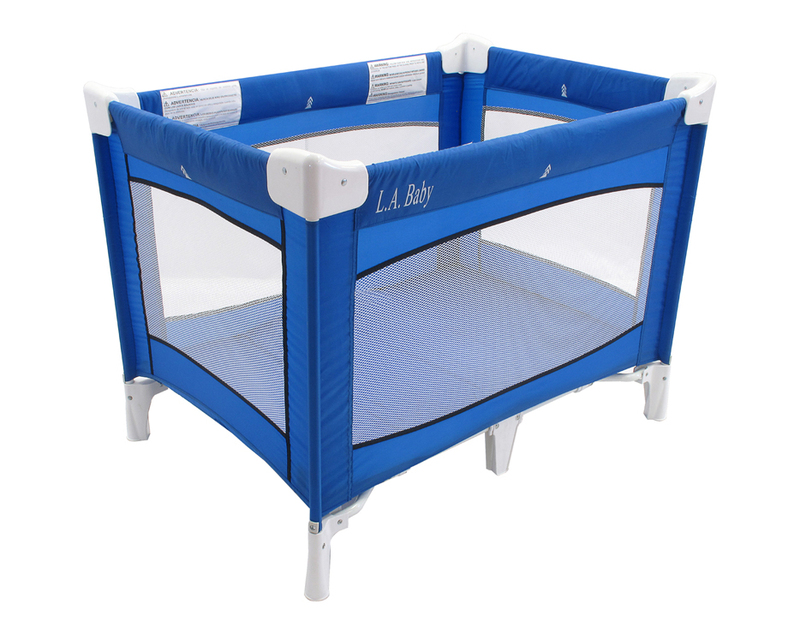 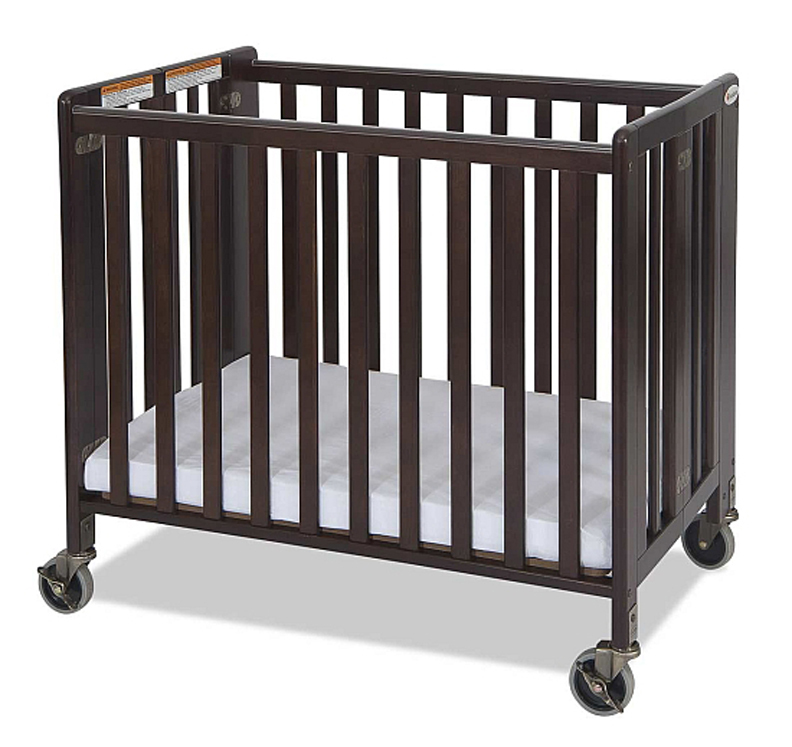 Includes protective foam caster bumpers to protect crib & doorways. 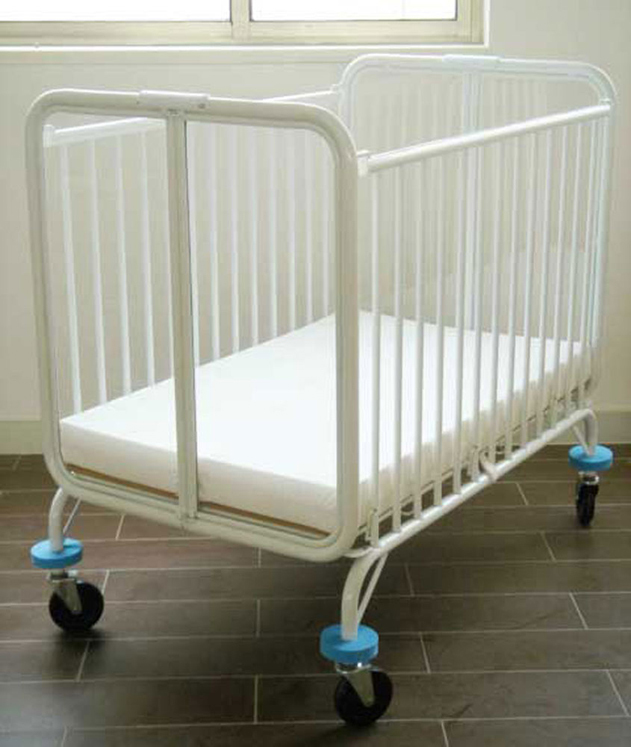 Durable White non-toxic powder coat finish withstands repeated cleaning. 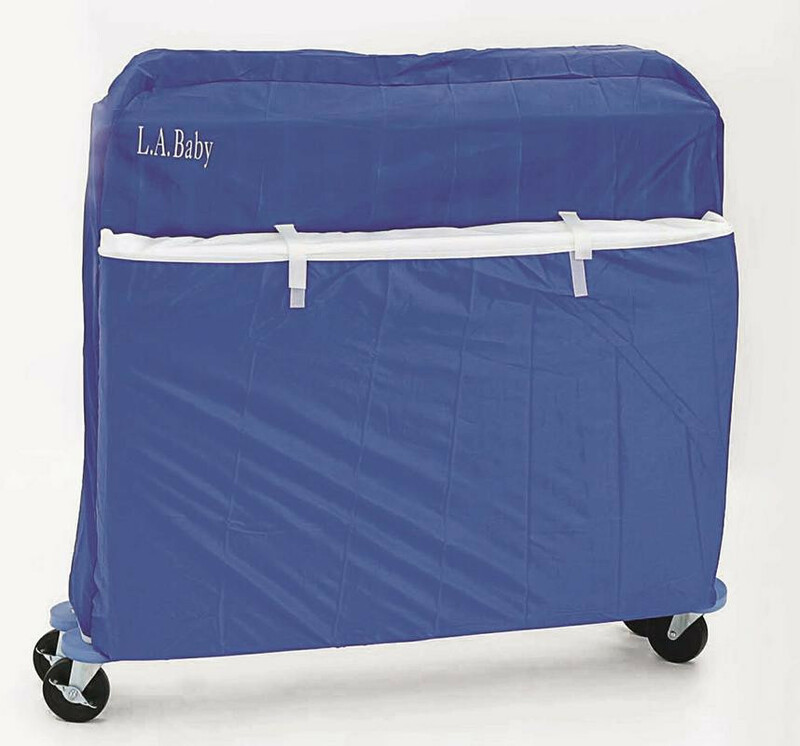 Easy to roll, heavy duty, double wide casters, two of which are locking. 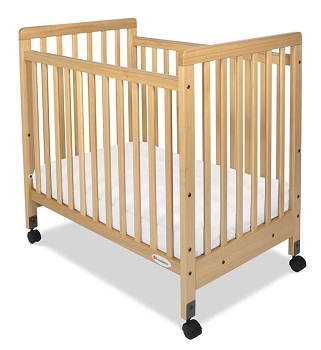 39 1/4"L x 25 1/4"W x 39 1/2"H.